From two of mindbodygreen's top editors comes an essential companion for anyone seeking a deeper spiritual life. Taking time to nourish yourself and connect to the rhythms of the Earth can feel like a tall order when your days are packed to the brim but this beautifully illustrated handbook can make it a whole lot easier. The Spirt Almanac provides readers with potent, accessible rituals they will want to call on again and again throughout the year to feel more grounded, aligned with their purpose, and in touch with their own innate sense of knowing. The Spirit Almanac will infuse your life with more joy, gratitude, and a deeper connection to yourself and our Mother Earth. Emma Loewe is the sustainability editor at mindbodygreen. She also curates mbg's new-age, spirituality content. A runner, photographer, and wannabe minimalist, she currently lives in Manhattan. Lindsay Kellner is the senior lifestyle and beauty editor at mindbodygreen. She is a 200-hour certified yoga teacher, host of the Well Aware podcast, and an artist. She lives in Brooklyn with her husband and cat. this book offers the perfect course correction. I've folded and marked up almost every page for myself and for my future teachings." 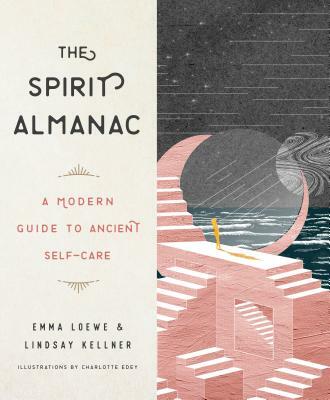 "The Spirit Almanac is equal parts practical and magical, giving anybody the tools to ritualize their life and connect to the wisdom within." "Spirit Almanac is a must-buy book filled with lots of accessible techniques that will help to fill your soul!" "In the age of ritual this book is the ultimate go-to guide. It details a ceremony for every season with a celebration for every type of reader. Do your self-care practice a favor and invest in this book— it will transform the way you approach the ritual of everyday. Truly transformational."